Arsenal striker Olivier Giroud is reportedly a transfer target for Fenerbahce, who could make an offer for him this January as they seek to replace ex-Gunner Robin van Persie. 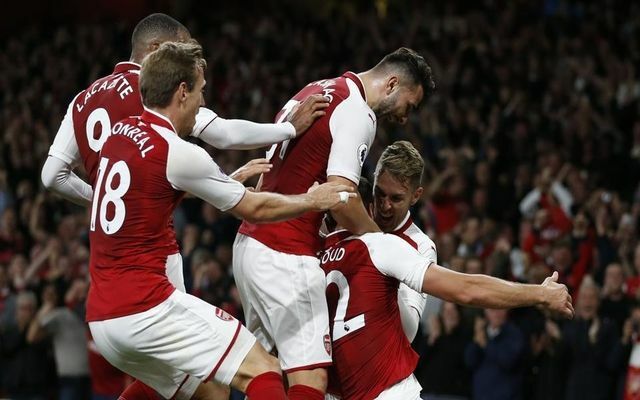 The Turkish giants look eager to make changes up front this winter, and Giroud is emerging as one of their priority targets for that position, according to Fanatik, as translated by Sport Witness. Giroud has been a key player for Arsenal down the years, though he’s been less of a regular in the starting line up over the last two seasons. The France international has started just one Premier League game this season, though he still has an impressive record of four goals despite this limited playing time. Arsenal won’t want another experienced and proven star to leave the Emirates Stadium as Alexis Sanchez, Mesut Ozil and Jack Wilshere all head towards the ends of their contracts. Giroud may not be the most important player for Arsene Wenger right now, but he remains a valuable option from the bench and not one who’ll be easy to replace in the middle of the season. Still, Fanatik claim Fenerbahce will do all they can to lure the 31-year-old to Turkey, including using his old team-mate Mathieu Valbuena to try and tempt him over to Istanbul.